Perfect renovation with attention to comfort, function and efficiency! I didn’t see a restroom???? The UK has been rockin it lately in this type of accommodation. Such inventive, practical and beautiful designs and here is another example. 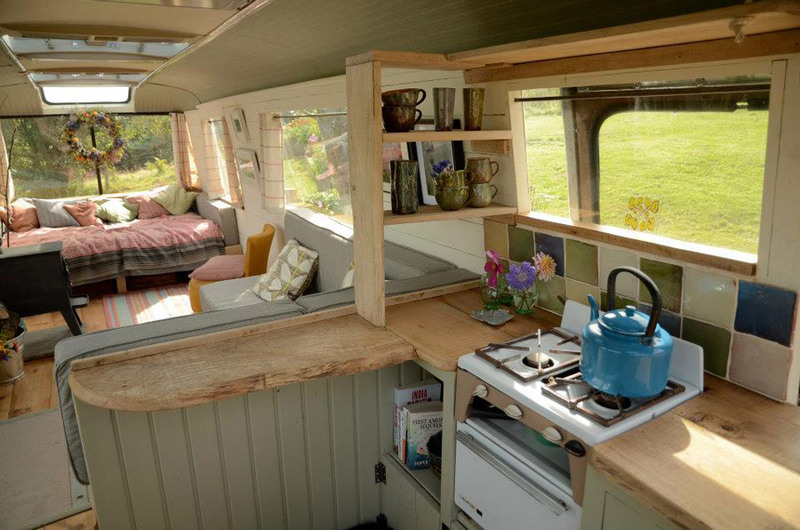 This bus is a beautifully repurposed space with lots of great ideas for someone looking to move into a tiny home. Thanks for posting such lovely pictures Im sure you will get lots of bookins if I was in the UK I would be booking right now! 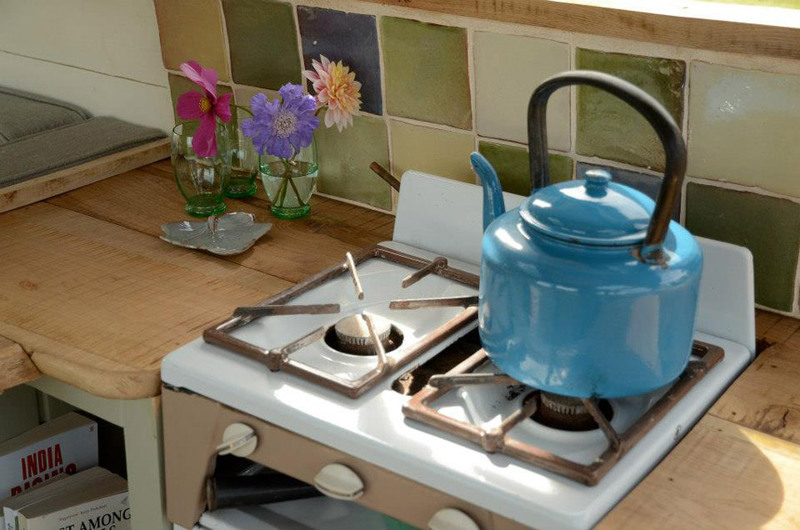 Looks brilliant love the stove. 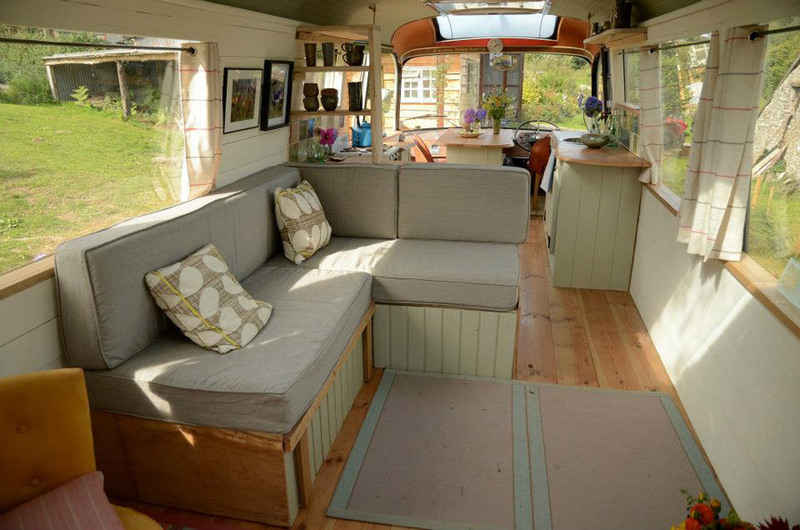 Gorgeous, tasteful and well crafted repurposed bus. Its a real credit to those who did it and its eye candy for the rest of us! 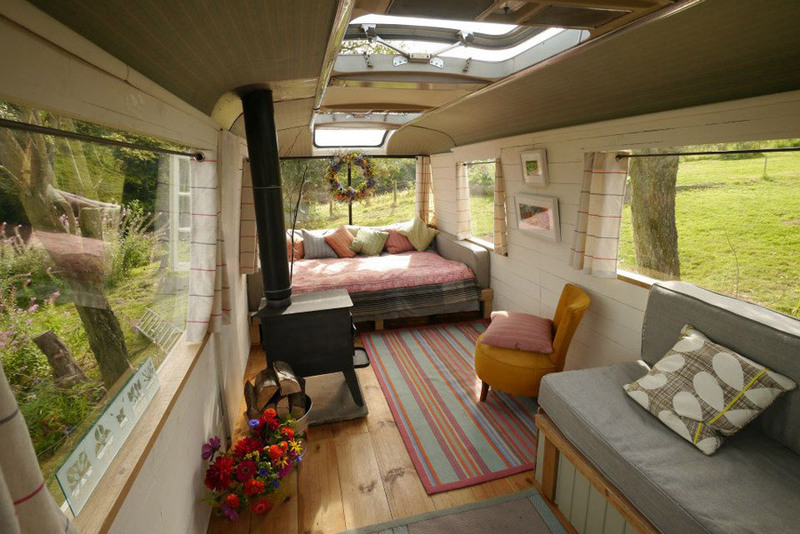 I can always tell when a Tiny Home resonates with me because after viewing the photos, I let out a long ~sigh~ of contentment. The folks who created this beautiful gem would “almost” need to serve me Eviction Papers to leave the cozy confines of this place. It’s the massive amount of windows that does it for me: it blurs the lines between Indoors and Outdoors…my FAVOURITE kind of place! 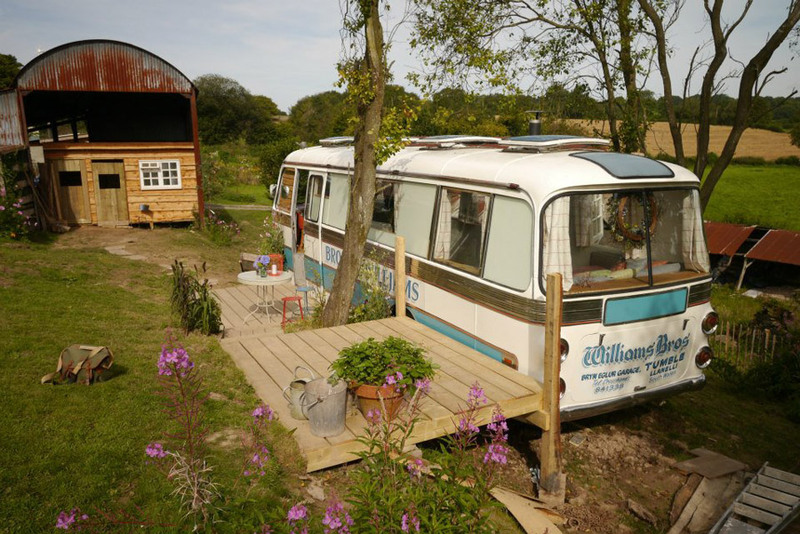 It’s places like >this< that can break down the prejudice of what "Tiny Homes" are thought of: drab, minimalist sheds. This place is bright, cheerful, homey, comfortable and the decorating style shows a person that they do NOT need to purge themselves of decorative items to become "tiny". 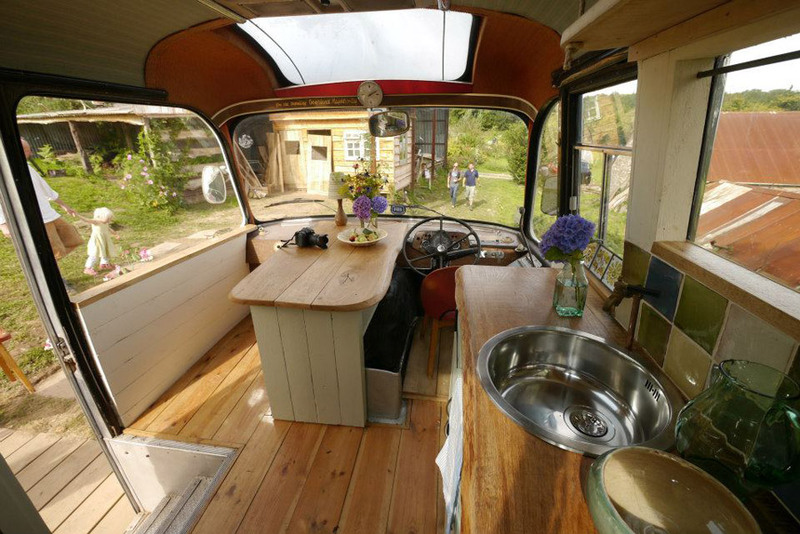 This place ranks in my Top Ten of Tiny Homes. 😀 Well done creators, well done! Oh, and for those that don't follow the LINKS, there is a separate "bath house" a couple of meters away that houses a flush toilet, sink and tub.